Caring too much can hurt. Join us for a midweek retreat dedicated to encouraging clergy and faith leaders to practice the art, science, and spirituality of healthy caregiving. Explore the myriad ways that self-care is a part of authentic “compassion satisfaction” and can aid helpers and organizations in creating sustainable caregiving practices. To caregivers everywhere, thank you for the tenacity and passion with which you care for others! Yet the emotional and physical demands involved with caregiving can strain even the most resilient clergy or faith leader. Come for some midweek respite and encouragement to explore how, through individual and group spiritual exercises, that when your spiritual needs are taken care of, the people you care for will benefit, too. Includes all meals. Br. Mark Gregory D’Alessio is a Franciscan friar in the new religious society of the Companions of Francis and Clare. He’s also an interspiritual Christian priest, spiritual director, chaplain, retreat leader, author, and past President and Executive Director of the Psychotherapy & Spirituality Institute, which draws together the inspiration of the church with the wisdom of psychological care. A graduate of the Guild for Spiritual Guidance, where he received his certificate in spiritual counseling, he is now a board director and faculty member. He’s also a faculty member at All Faiths Seminary International for the training of interfaith ministers. A long-time seeker and practitioner of spiritual wisdom, he’s initiated into multiple spiritual lineages, both East (Buddhist) and West (Christian); does his best to affirm the Christian Wisdom tradition within a wider inter-spiritual framework; and looks to both science and spiritual heroes (such as Thích Nhat Hanh and Francis and Clare of Assisi) as sources of inspiration and hope. As a Franciscan, he’s committed to serving those who are sidelined and at risk. Br. 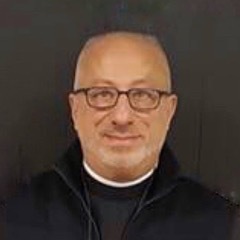 Mark currently lives on Long Island and ministers as a crisis counselor and program coordinator at a shelter for men and women who are homeless and as a chaplain at a residential treatment center and school for children with learning and emotional disabilities. Moving to Long Island, he founded and pastors the Franciscan Circle, a progressive, interfaith gathering of clergy and lay people who seek to journey in mind and heart with the witness and wisdom of Francis and Clare, the saints of Assisi. The Circle is dedicated to developing seekers and leaders for thoughtful social action and spiritual care. He is passionate about sharing God’s love into corners of life where the church can be pretty uncomfortable going. A vowed Franciscan, his concerned witness and action in the world is reinforced by the deep sense that — at the most essential level —no single person, place, or thing exists in the universe except in relation to everything else. The Long Island Coalition for the Homeless awarded Br. Mark with their “Unsung Hero” Award this year.